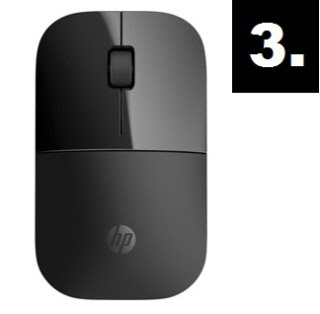 pixel Top 5 Best Wireless Mouse Under Rs. 1000 in India That You Can Buy ! 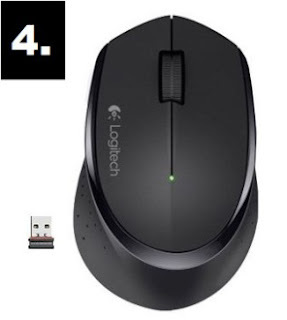 Top 5 Best Wireless Mouse Under Rs. 1000 in India That You Can Buy ! Top 5 Best Wireless Mouse in India Under Rs. 1000 For Laptop/ PC ! 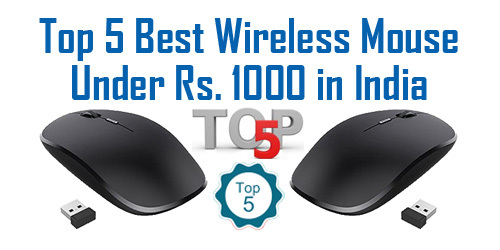 चलिए दोस्तों अब आपका ज़्यादा समय बर्बाद ना करते हुए हम आपको उन Top 5 Best Wireless Mouse के बारे में बताते हैं, जिन्हें आप बेझिझक खरीद सकते हैं | लेकिन उससे पहले दोस्तों यदि आप चाहें तो हमारे इस वाले पोस्ट को भी पढ़ सकते हैं - How To Change Email Address in Aadhaar Card Online in Hindi ? It Comes With Advanced 2.4 GHz Wireless Connectivity. This is The Best Wireless Mouse in India Under Rs. 1000. In This Mouse You Get 3 Years Of Limited Hardware Warranty. The Adapter Of Mouse is Located At The Bottom Of The Panel. 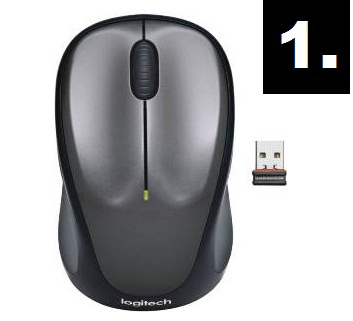 Mouse Weight is 84 g (Including Battery) & Receiver Weight is 1.8 g.
Dimension Of This Mouse - 55 mm (2.17 in) x 95 mm (3.74 in) x 38.6 mm (1.52 in). USB Port Can Be Found By Opening The Battery Cover At The Back Of The Mouse. It Comes With Advanced Optical Tracking Sensor Technology Which Delivers Perfect Accuracy. It Can Only Work With Windows (Operating System). This Mouse Comes With 1 Year Of Manufacturer Warranty. 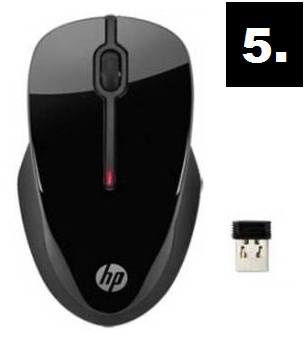 Dimension Of The Mouse is 6 x 10 x 3.5 cm & Weight is 59 g.
It is The Second Best Wireless Mouse in India Under Rs.1000. 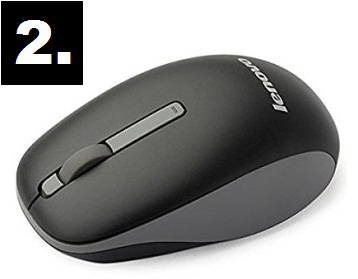 Lenovo N100 Wireless Mouse Gives a Steady & Reliable Connection. This Mouse Comes With Anti-Slip Surface For Smooth & Comfortable Navigation. It Comes With a Small Unobtrusive Receiver Which You Can Just Plug in into a USB Port. This is The Third Best Wireless Mouse in India Under This Price Range. It Has 2.4 GHz Wireless Connection Which Reliably Keeps You Hooked Up. Blue LED Technology Lets Your Mouse Function On a Wide Range Of Surfaces. This Mouse is Designed With Flair, The Sleek Design Fits Comfortably Anywhere. It Has 1200 DPI Optical Sensor Which Gives Exceptional Accuracy And Incredible Speed. It Was Designed To Push The Limits With Up To 16 Months Of Life On a Single AA Battery. It Supports OS Like Windows 7, Windows 8, Windows 10, Mac OS 10.3 Or later & Chrome OS. The Battery Life Of This Mouse is 18 Months. It Comes With 2.4 GHz Reliable Wireless Connection. This Mouse Has Improved Logitech Advanced Optical Sensor. It Has 1000 DPI Optical Sensor Which Gives Very Good Speed. This is The Fourth Best Wireless Mouse Under This Category. It Comes With Plug And Play Nano Receiver To Receive Signals. This Mouse is Very Comfortable And Designed For Long Hour Of Use. The Wireless Range Of HP X3500 is Approx. 10 Meters. This is The Fifth Best Wireless Mouse Under Rs. 1000 in India. It Has 3 Buttons: Two Primary Buttons And One Scroll Wheel. HP X3500 Wireless Mouse Comes With 2.4 GHz Wireless Technology. It is Sleek, Lightweight And Portable, So You Can Carry It Anywhere You Want. It Comes With a Adjustable Optical Sensor That Can Work On Different Surfaces. It is Compatible With Various Operating System Like Microsoft Windows 7/ 8/ XP/ Vista. It Has a Curvy Silhouette That Gives it a Stylish Shape & Also Makes it Comfortable To Hold. 1.) Top 5 Best Portable Bluetooth Speakers Under Rs. 3000 in India That You Can Buy ! 2.) How To Apply For Driving License in India Online Step By Step in Hindi ? 3.) Top 5 Best Wi-Fi Routers Under Rs. 2000 in India That You Can Buy Online ? 4.) How To Reduce Image Size in Adobe Photoshop Without Loosing Quality in Hindi ?